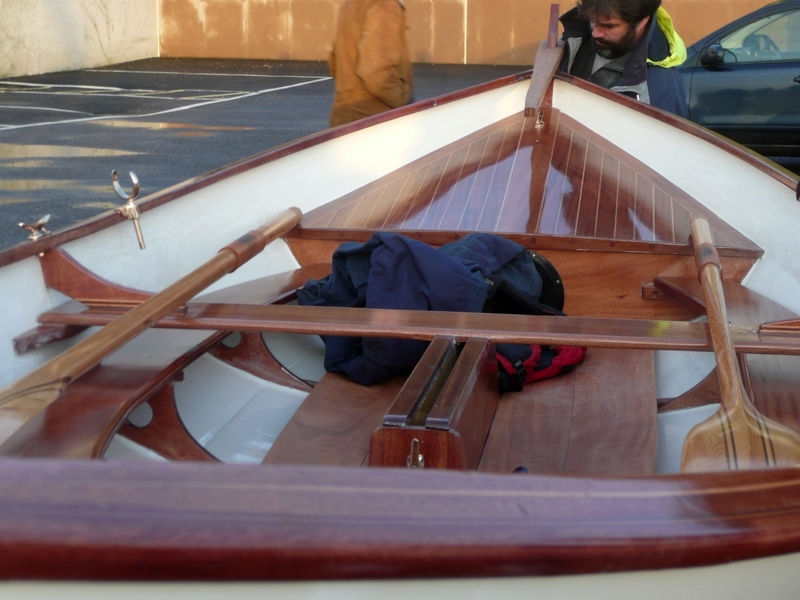 Nathan Richie and Jeroen Porters built this Iain Oughtred-designed Tirrik at the Boatbuilding Academy and launched it at the big student launch on the 5th December. 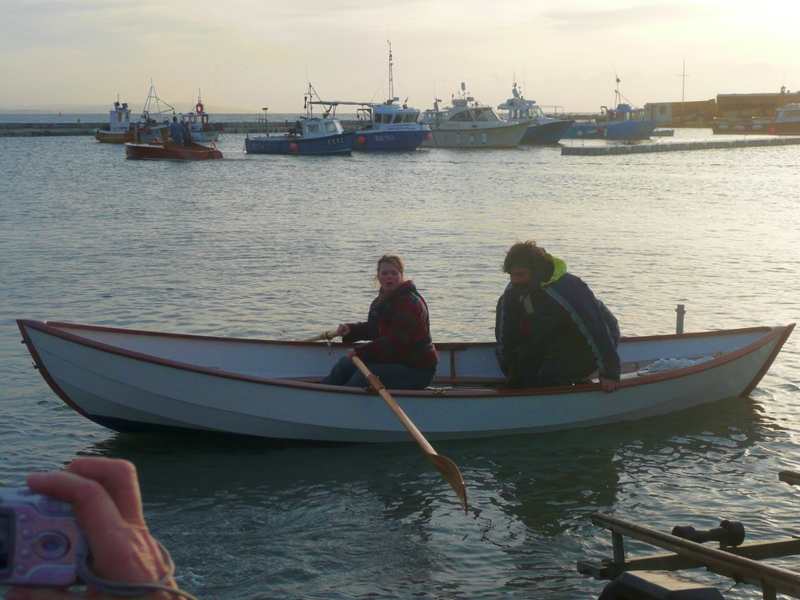 Although set up as a rowing boat in these photos, the 16ft 10in Tirrik is Iain O’s take on a Ness boat. 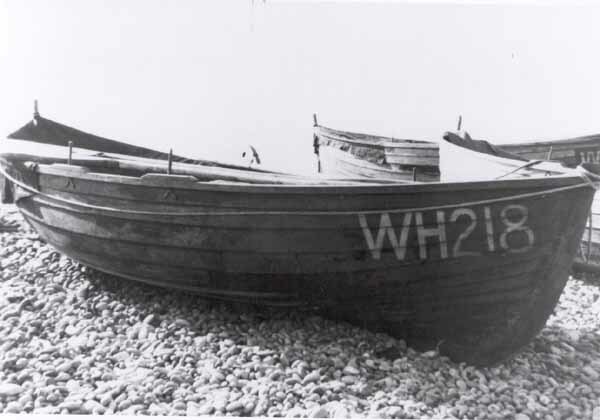 Double-ended, glued clinker in mahogany ply, the it has a beam of 5ft 4in, a centreboard and, since leaving the Academy, has been rigged as a sailing boat. Nathan is going to use it to sail with his family. I gather the Tirrik will be featured in the next edition of Water Craft magazine, btw. 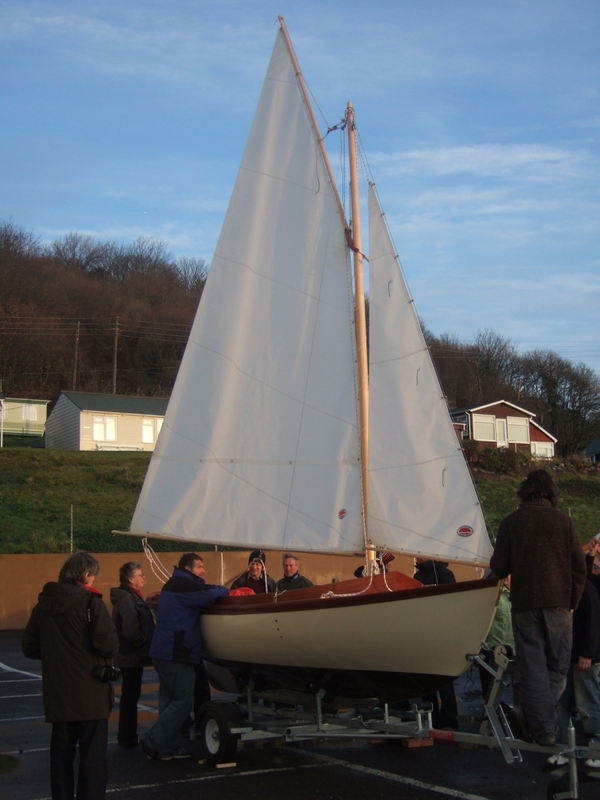 As the final photo shows, the designer called in on the Academy during the build – it was meant to be a brief visit, but he but ended up staying overnight and giving the students an impromptu lecture on boat design with illustrations. Nathan was previously an IT consultant who owned a chain of clothing shops, but he always wanted to get into the marine industry and has previously earned RYA Yachtmaster and TDI diving certificates. It seems to run in the family, for while Nathan was at the Academy, his son Craig joined the 8-week woodworking skills course. 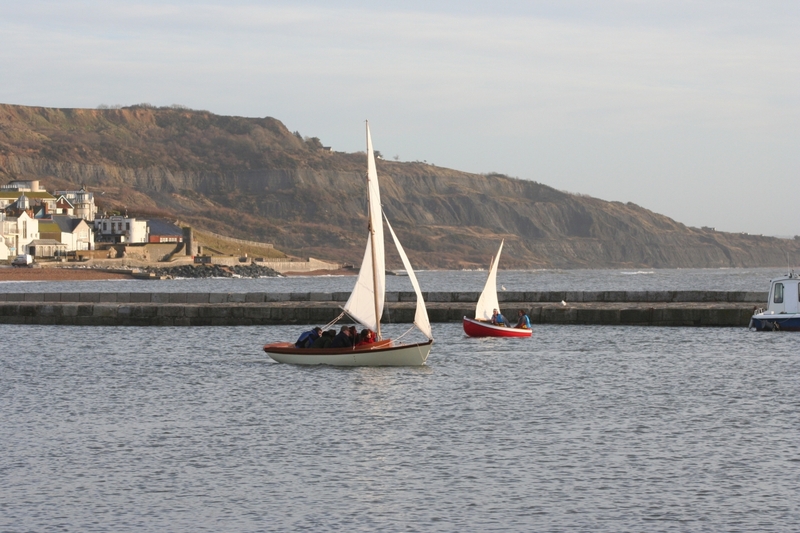 They’re hoping to build a 40ft-ish boat when time and money allows. 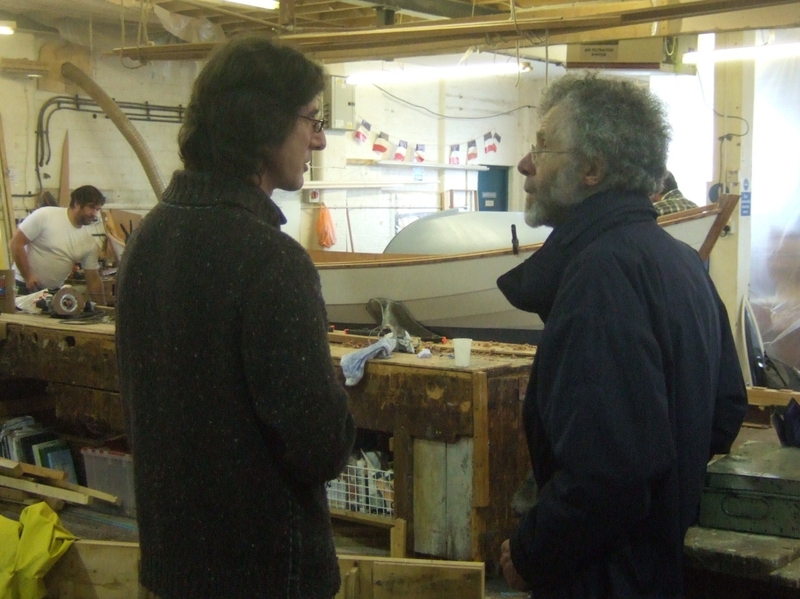 Jeroenhas just applied for a job at the North Norwegian Boat Museum. He has also bought the plans for a Francois Vivier le Seil 18, which he plans to start building if – and when – he moves to Norway. His weblog of the course is online – it’s in Dutch but, even if you can’t read, it the photos are worth looking at. 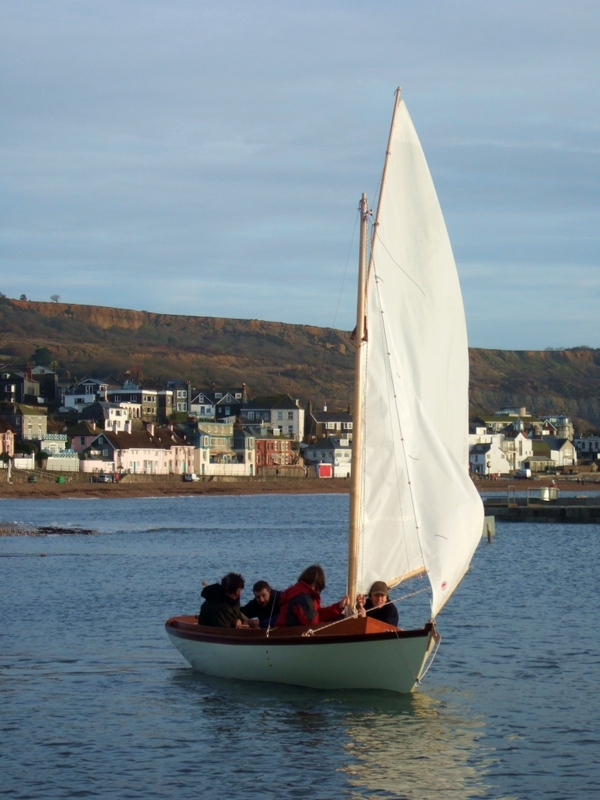 John Watson and build partner Dave Snelling built the Joel White Haven 12 1/2 version of Nat Herreschoff’s 12 1/2 Buzzard’s Bay Boy’s Boat during their course at the Builtbuilding Academy, reports principal Yvonne Green. 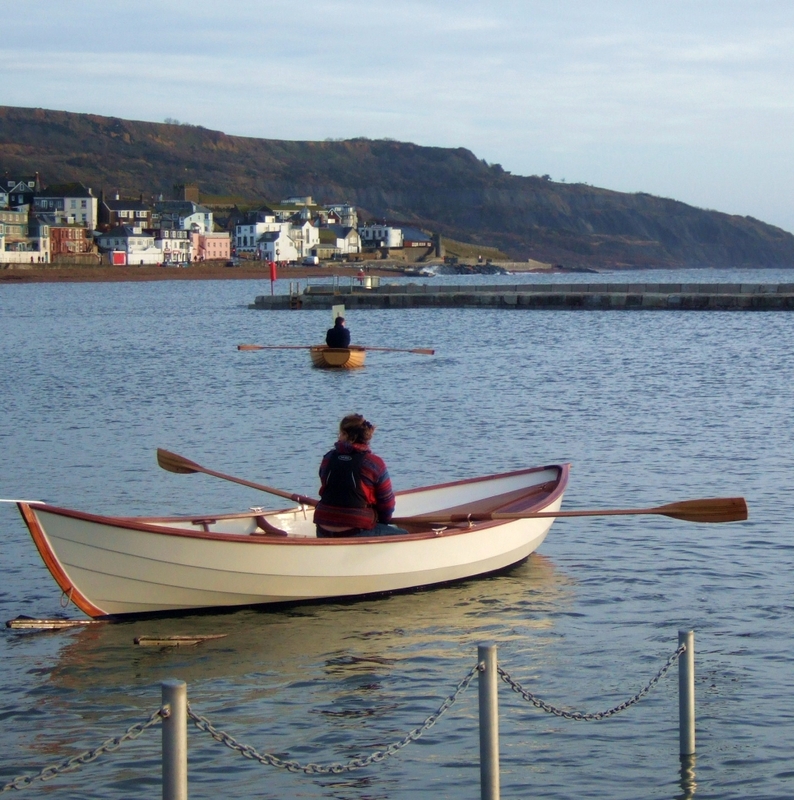 While the original design has a full keel, the Joel White version has a centreboard, making it possible to bring the boat into shallow waters and easier to trailer. 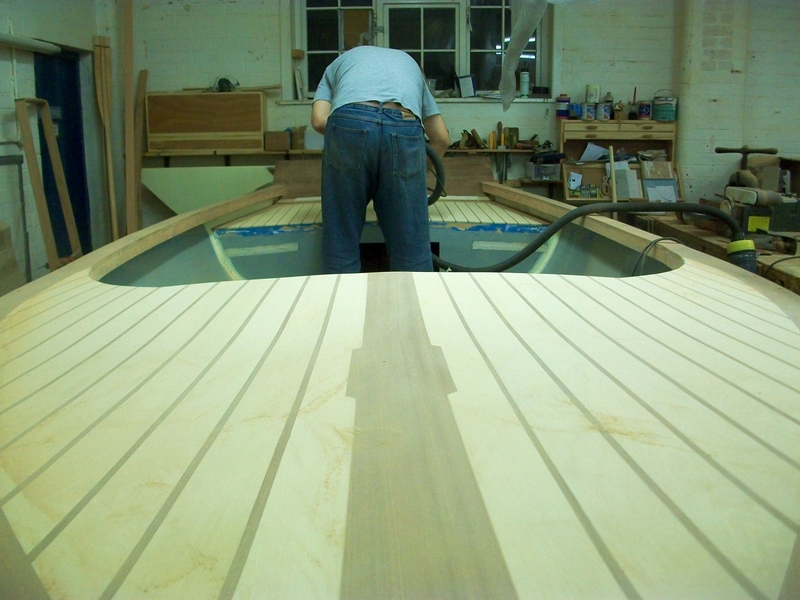 The boat is Douglas fir strip planked and sheathed in glass fibre, has a cast lead ballast keel, and is 15ft 11in in length with a beam of 6ft 1in. 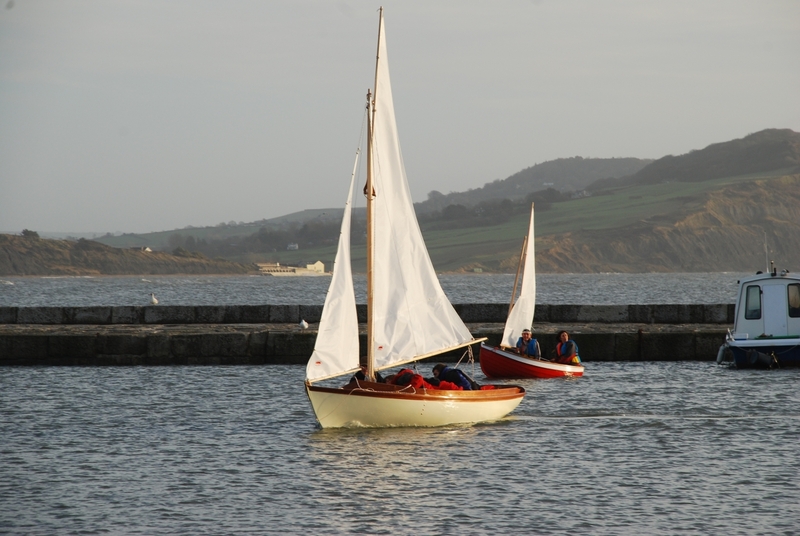 Neither John nor David were doing practical work before they came on the course at Lyme – for the last thirty years John has worked in corporate law in America, while Dave, although he worked in the marine industry at the beginning of his career, has been working in IT. 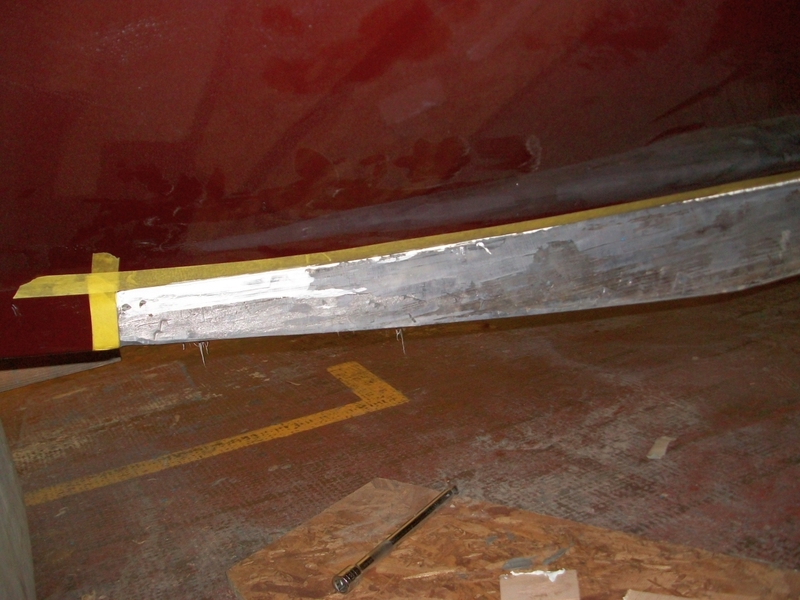 Yvonne says the boat was quite an achievement, but John and Dave were incredibly focused on the course and worked steadily to complete it in the six months they had on the main workshop floor.